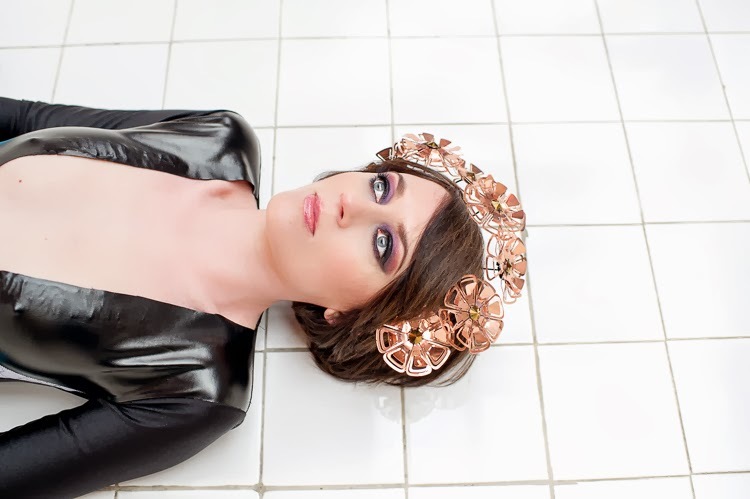 Helen Marnie might have made her name as the singer for the internationally acclaimed synth-pop band Ladytron, but in June 2012 she released a solo album, Crystal World, through Pledge Music. The album confounded expectation and quickly cultivated a passionate and devoted following, with many (including The VPME and Polari) giving it flawless reviews. In contrast to her work in Ladytron work it’s an album in which nature constantly pulses and throbs. 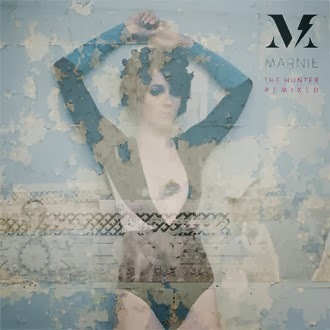 In it Marnie undertakes a set of startlingly emotional journeys, drawing what some have described as ‘a map of the heart’- quite an achievement for such a pristine electro record. I caught up with Helen to try and dig a little deeper into the record, in a conversation that took in everything from the Piscean gift for swimming to her striking choice of outfit for the video to ‘The Hunter’. In previous interviews you’ve talked about the state of transition you were in when you wrote ‘Crystal World’. Did writing the album help to deal with that transition at all? I think so, yes. In fact, I think writing the album helped me deal with quite a lot of things. It kind of sorted my head out a little and gave me focus and freedom to express myself. I guess I had a lot of ideas going round in my head at the time, and a lot of baggage too. It was the perfect release to write an album for myself. You’ve mentioned in the past how the sea is a ‘particularly dominant and reoccurring’ theme on the record. I wondered how the sea connected to this sense of transition for you? When I think of the sea, I think of my childhood. I spent a lot of time by water, exploring and having fun. One side of my family hails from the east coast of Scotland, so that is the sea I am generally referring to. I relate to it, it was a big part of my life. I sometimes feel enclosed by cities, and so the sea is the getaway in my head. There was quite a lot on the horizon when I was writing, one thing being I was going to relocate back to Scotland, so it felt like anything was possible. I am a Pisces, I am a good swimmer, and when I write by water or the sea it feels like home. ‘Crystal World’ was greeted with very positive press. I was struck by how the record stretched the boundaries of where I expected it to go, emotionally. Is that just how it evolved? It was an emotional time for me, and I knew that would be released into the record. It actually made me feel better knowing I had put it somewhere. That the emotion had a home once I let go. When I listen back it will always take me to a specific time, with vivid images and feelings. In the Pledge promotional video for ‘Crystal World’ you situate yourself very much amongst Reykjavik’s scenery, and I wondered if there might have been a decision to reflect the natural environment more for that album? I was in Reykjavik to record and I wanted to create a promo for the Pledge which was beautiful and also reflected where I was. It was natural for me to use Reykjavik landscapes and landmarks. I must admit though, this album has no connection with Reykjavik other than it was recorded there. All the writing was done before going to Iceland, bar half a song. Scotland is very much the country behind this album. The video for ‘The Hunter’ sees a real blend of the natural (the forest) with the synthetic (taking the form of a colourful catsuit). I wondered if this juxtaposition was part of making a certain statement? I was doing quite a lot of running in The Hunter video, and so the catsuit was great for that. Not only did it look and feel amazing, but it also looked foreign to the setting. Which I guess was deliberate. The designer, Rebecca Torres, made it especially for me so I am eternally grateful. I've always had a bit of a catsuit fetish. I feel good in them. I'm not really into exposing too much flesh, so this one was perfect for me. It was also really important for me to inject some colour into the video and what I was wearing. By doing a solo album I felt liberated, and I wanted that to come across in ‘The Hunter’ video. Which artists inspired Crystal World? I thought I might have detected a touch of Kate Bush? I'm never sure who inspires me when I write. Only later, when someone says it sounds like something or someone else, am I surprised. I'll take Kate Bush though. If it sounds like Kate Bush then it's a winner. You use the synthesiser in much of your work. But what is it about the synthesiser that keeps drawing you to it? I started out playing classical piano, and was introduced to synthesisers when Ladytron formed. The keyboard is what comes naturally to me, and synthesisers are able to create a lot of warmth and depth and dirt, so are extremely versatile. With Crystal World I wanted real piano on some of the tracks, I knew that from the beginning. On Submariner it is quite prevalent, along with Gold. There is a long British tradition of synthesiser music- from artists like David Bowie, to The Human League. I wondered how much you consider yourself as part of a British tradition of synth-pop music? We were influenced by a lot of different music, not solely synth-pop, but our sound was definitely electronic with the synth taking centre stage. In Liverpool at the time, we were quite different in terms of the music we were making, and having two female lead vocalists was also a change to the mainly male-fronted indie bands. Do you have any future plans with Ladytron?